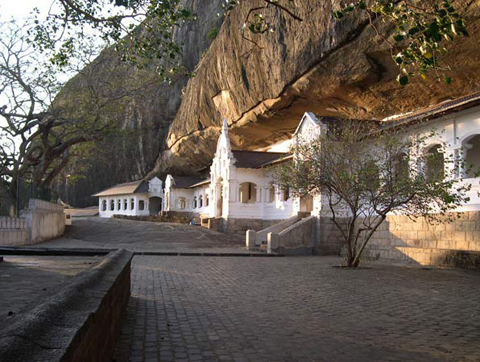 The city of Dambulla is situated in the Central Province of Sri Lanka. 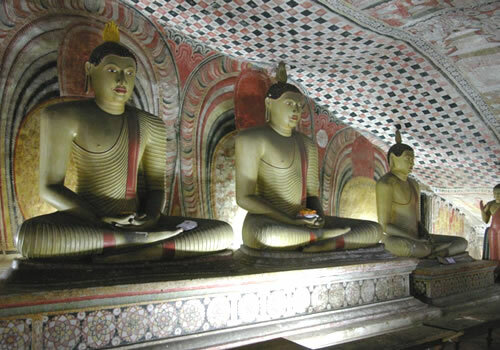 Dambulla has over 80 caves in the surrounding and some of them have been used by the monks as meditation locations.Major attraction is the Dambulla Rock Temple consisting of five cave temples dating back to the 1st century BC. 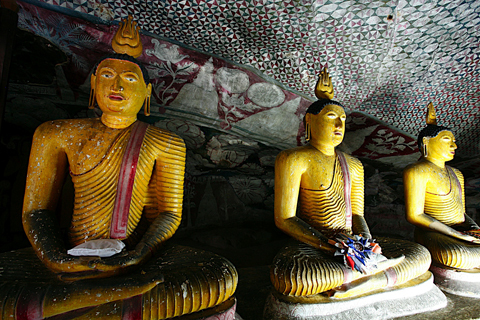 The temples contain many statues and paintings. Other places of tourist interest are Iron Wood Forest and Rose Quartz Mountain. The site was declared as a human sanctuary by King Dappula in 10 century AD. 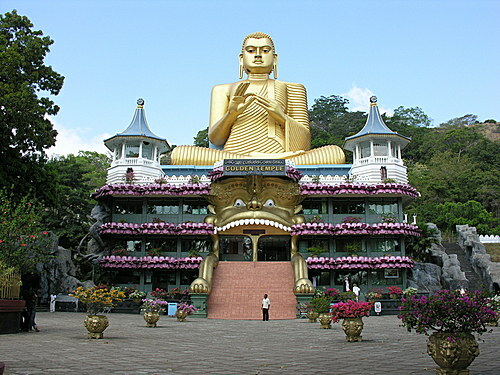 Situated 148 km north-east of Colombo and 72 km north of Kandy. 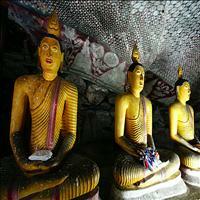 Dambulla Cave Temple is a vast isolated rock mass 500 feet high and a mile around the base. Here is found the famous Rock Temple dating to the First Century B.C. 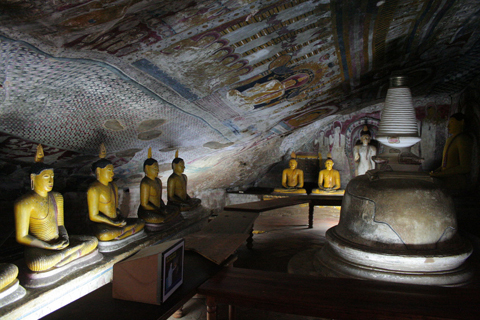 The caves of Dambulla sheltered King Walagamba during his 14 years of exile from Anuradhapura. When he regained the throne he built the most magnificent of Rock Temples to be found in the Island. Remarks: Famous Rock Temple dating to the First Century B.C.